Over the weekend, Square Enix held a live Star Ocean event in Japan that brought together fans of the RPG series with creators and voice actors for a day of livestreamed festivities. 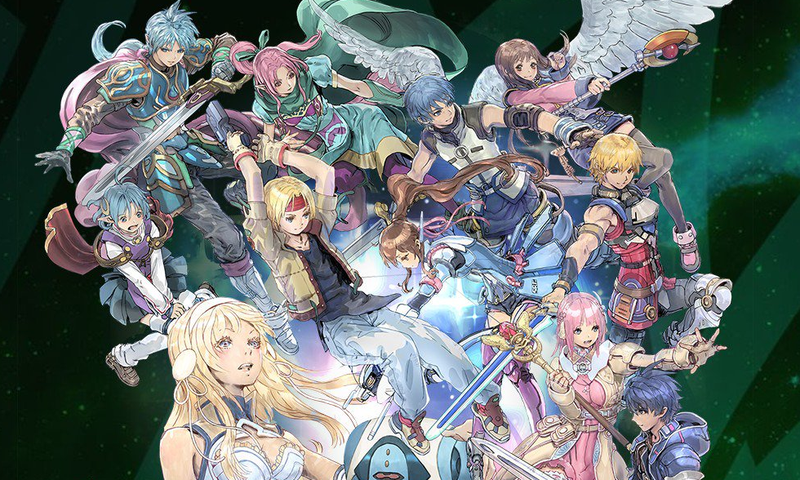 Fans hoping to get news on a new Star Ocean for consoles had their hopes dashed, though, as the spotlight was firmly pointed on the mobile game. As a fan of JRPGs, I find that this pivot to mobile has become frustratingly common. A new Star Ocean game isn’t coming any time soon, Star Ocean 5 producer Shuichi Kobayashi has said. Instead, he said, fans should focus on Star Ocean: Anamesis, the series mobile game which has been out for just over a year in Japan. It’s just the latest example of a once-beloved series getting relegated to smartphones. Certainly, I would want Square Enix to take its time with a potential new Star Ocean console game, given how terrible the last one, Star Ocean: Integrity and Faithlessness, turned out to be. Still, it’s disappointing to see yet another once-great series—Star Ocean: Second Story on PS1 and Star Ocean: Till The End of Time on PS2 remain standouts in their respective console generations—be relegated to a free-to-play smartphone MMO that will probably never see the light of day outside of Japan. It’s a too-familiar story these days. A month ago, Konami announced it was working on a new Castlevania. This one would be called Castlevania: Grimoire of Souls, an action game with co-op for up to four players. It was a nice bit of news to get early on a Tuesday morning, except that it turned out the game was being developed for iOS, not Switch, PC, or any of the other modern consoles. Although the game is currently undergoing a closed beta in Japan, there’s no release date yet and no sign of whether it will ever come to Europe or North America. While the series’ former lead producer Koji Igarashi is about to release a spiritual successor for consoles called Bloodstained: Curse of the Moon on May 24, this is not the same as seeing Dracula and the gang return in a proper Castlevania game. Castlevania: Harmony of Despair, arguably the last in the series to fit that bill, turns eight years old this summer. In 2008, Capcom said it had no plans to bring back Breath of Fire. Then in 2016 it released Breath of Fire 6 on smartphones making many people who played it wish Capcom hadn’t changed its mind. Wild Arms has laid dormant for even longer. The western-themed RPG series that helped defined the genre’s golden age on PlayStation 1 hasn’t had a proper follow-up since Wild Arms 5 on PlayStation 2 in 2007. In 2016 ForwardWorks, a mobile game studio of Sony’s, revealed Wild Arms: Million Memories last month for iOS and Android, which will release sometime later this year in Japan. For someone who’s awaited the series’ triumphant return, or really any return at all, for over a decade, the news was bittersweet. I’m glad to see series producer Akifumi Kaneko is coming back to supervise the story for the new game, with ForwardWorks claiming it will stay true to the earlier games, but can’t get too excited given the platform and the lack of any existing plans to localize it. I want to play these games after all, not just hear about their review scores in Famitsu. It doesn’t always work as a low-stakes way for bringing classic series back either. Breath of Fire got the same treatment in 2016 with the mobile-only free-to-play MMO Breath of Fire 6. Rather than allow the series to live on in a modern form, the game tanked, with Japanese servers shutting down last fall. It was never released outside Japan, either. Okay, so maybe a triple-A console game release isn’t in the cards for these series anymore. But I’d much rather see Breath of Fire, or Star Ocean, or even the Mana series get the SaGa: Scarlet Grace treatment instead. After a decade of only mobile entries in the SaGa series, this game first released on PlayStation Vita in 2016, with Switch, PS4, PC, and, yes, mobile ports coming this year and a North American version following sometime after. It’s understandable that Square Enix and other companies are hesitant to invest in ambitious sequels when mobile games have become so lucrative, but Scarlet Grace proves there might be a happy medium to be found somewhere in between. It would sure be better than another heavily monetized Final Fantasy mobile game or subpar Mana remake.